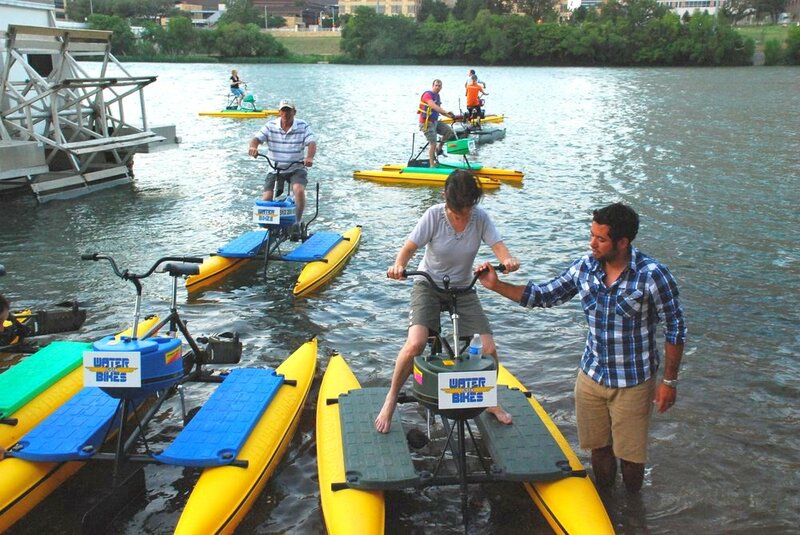 Let Me Show You How To Profit From A Hydrobike Rental Business. 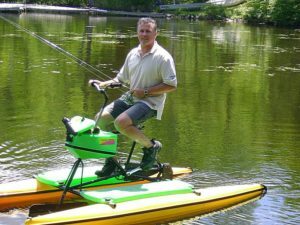 I Also Offer Hydrobike Discounts on 2 or More Hydrobikes. email me for a free copy of my Hydrobike rental business guide! 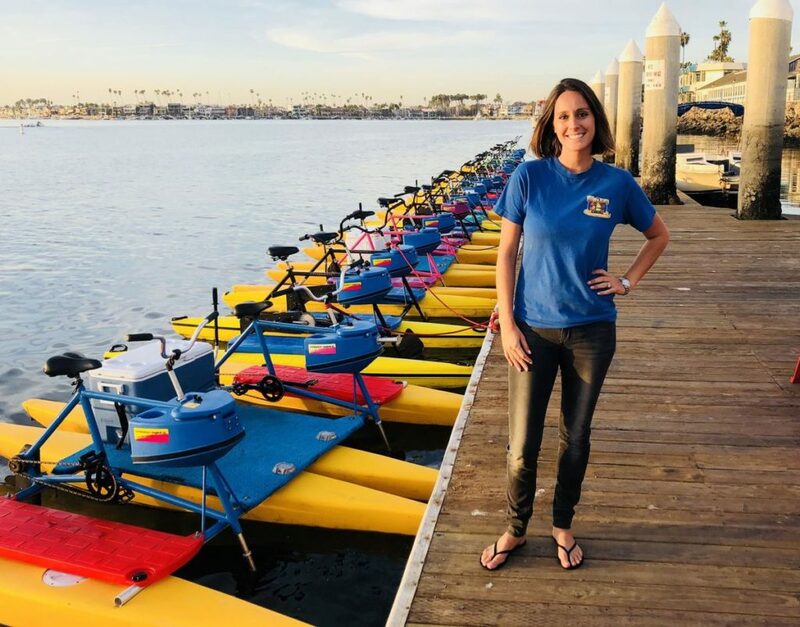 Melissa in Long Beach Minding Her Fleet! 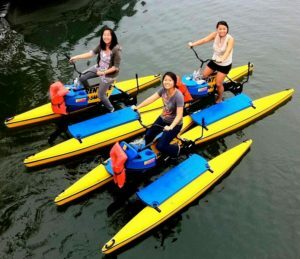 A Hydrobike Rental Business Is A Unique, Eco-Friendly, Proven Profitable, Fun Business! Would You Like To Own a Unique, Proven Profitable Business That Appeals to Everyone from 8-80? 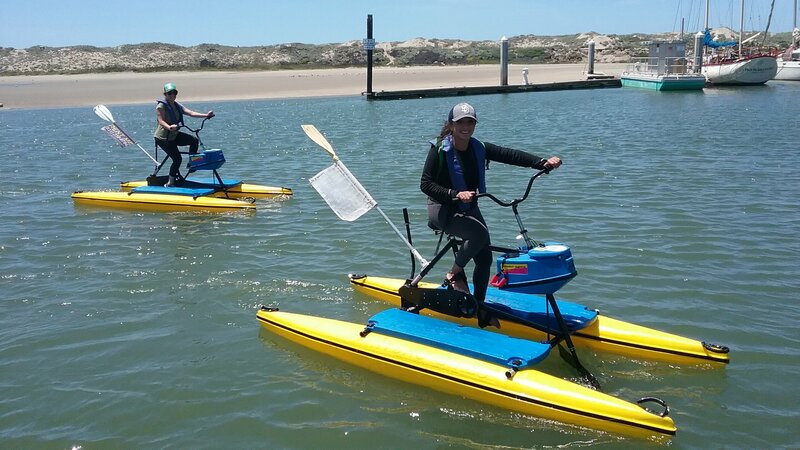 A Hydrobike Rental Business Promotes Safe Fun and Fitness On The Water For All Ages With No Skill Required. 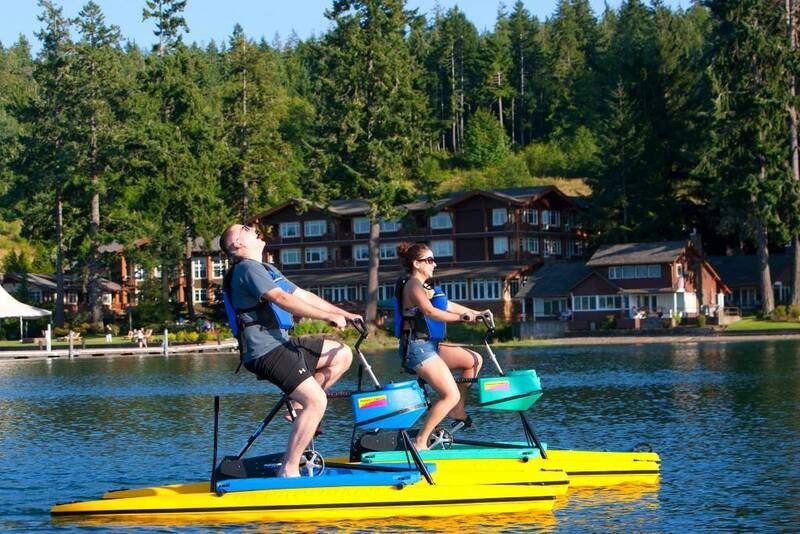 USA Built Hydrobikes Have Been Providing Family Enjoyment and Outstanding Rental Revenues Since 1990. 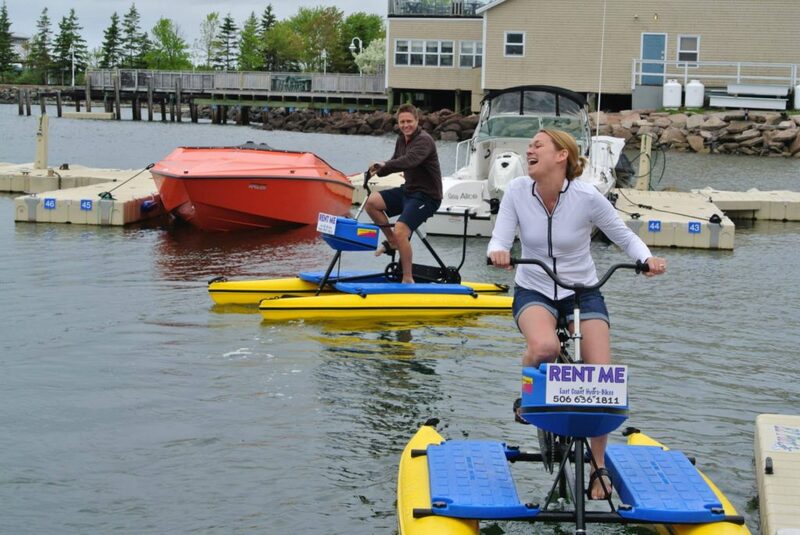 6 Hydrobikes Rented Can Generate $1000 a Day! Mobile Operation – This is the easiest and cheapest to run. You can work this out of your house and all business is conducted at the water. You can benefit from signage and drive by traffic. 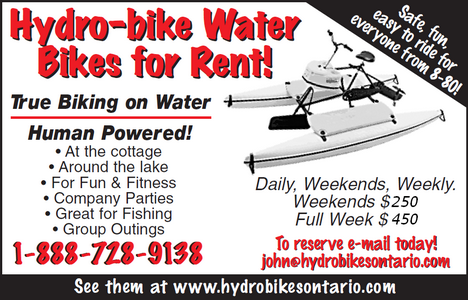 Or, you can advertise and customers call you to rent your Hydrobikes. Fixed Base Operation – You work out of a fixed location every day. It can be at a popular beach, a lake, a river, a park, or at a resort that offers water sport rentals. It could also be at a waterfront business location, or marina. A fixed location like an established park, or resort can save in marketing costs because you have a captive audience. It’s a bonus if they have a storage area for you to use. Once you set your hours, someone will have to be on-site at all times. The key to success will be excellent customer service, and location, location, location! Retail Operation – this refers to a brick and mortar operation, and suited to the long-term business. It is the most expensive to begin and keep going. You need a commercial space to operate from. Call John at 1-888-403-9012, or email me for more information.